A RIM senior product manager has said that personal information manager (PIM) functions will be coming to the PlayBook in future updates. RIM has come under fire because the first iteration of its upcoming tablet, the BlackBerry Playbook, will require syncing with a BlackBerry smartphone to get the PIM functionality, which includes the calendar, contacts list and notes. When asked if the PIM functionality will make its way to the PlayBook, Ryan Bidan, senior product manager in charge of the PlayBook, told Forbes, "It will come as the platform evolves." He continued, "There have been some misconceptions about the role this device plays. 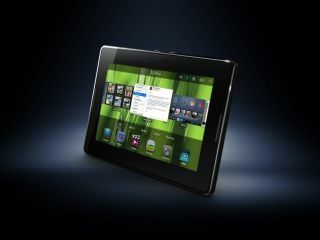 On its own, this is a great standalone tablet; this is not a device that is reliant on a BlackBerry." Nevertheless, it's hard not to wonder why such a seemingly simple application has been left out on the first generation of the tablet. But with an impressive spec sheet and enjoyable user experience winning us over during our hands on review of the PlayBook, perhaps RIM has had its focus in the right place all along.